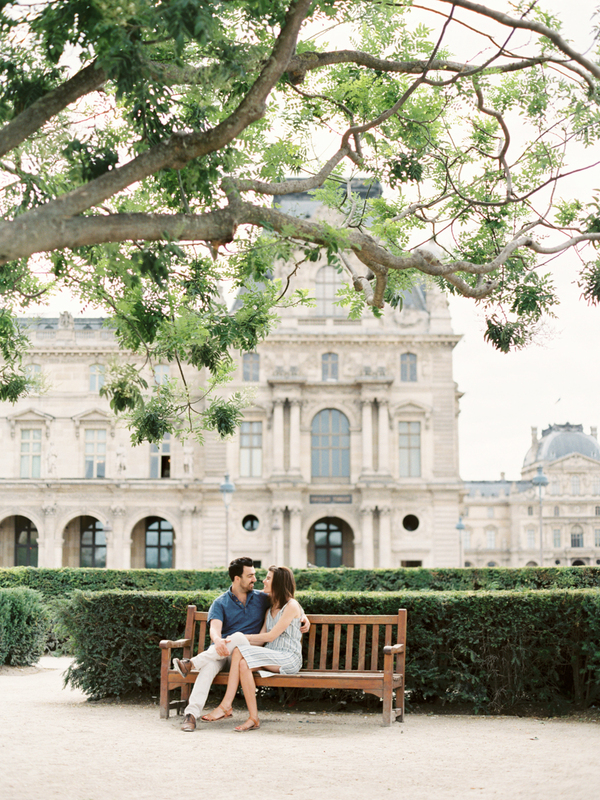 I’m really trying to play it cool here, but I can’t help but freak out a little — I’M SO EXCITED FOR SPRING! Capsule creation for spring is in full bloom, (#seewhatididthere) and here’s what I’ve got so far. And P.S. If you’ve got any warm-weather overnight trips coming up, here’s a model for your packing list. 1. Cropped Tee: I admit I was initially skeptical about the cropped tee. The crop top thing has been happening for a while now, but I’ve never been a fan. Until this shirt. The boxy cut tones it down a notch, and if you have the right pair of jeans or shorts to pair with it (read: mid to high waisted) you’ll be all good in the neighborhood. 2. Roll Up Jean Shorts: Okay. Real talk. I had a very similar pair of shorts in my spring 2014 + summer 2014 capsules … but … this year they just felt too short on me, you know? This roll-up pair feels more age appropriate — 29 in two weeks, holla. 3. 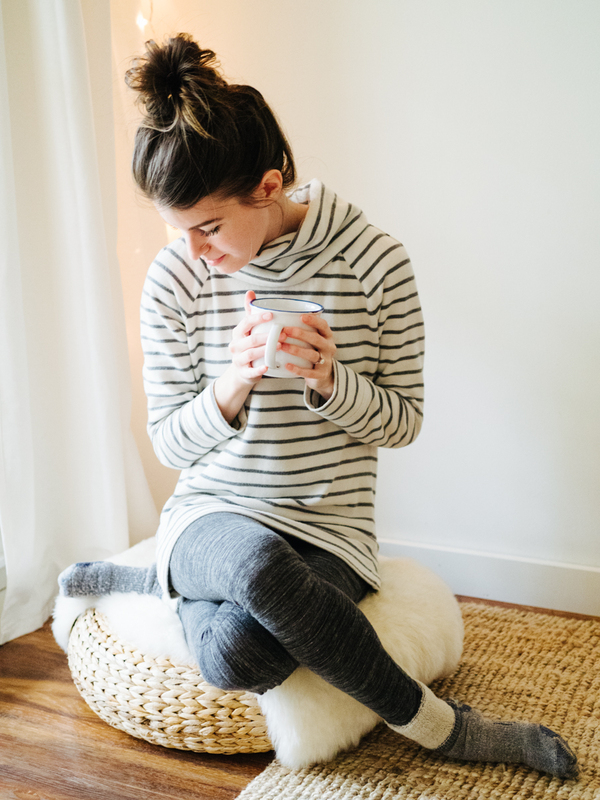 Lightweight Tunic Sweater: Oh, hey color, it’s so nice to see you. After a 100% neutral winter capsule, I’m craving color — and reminding myself to never again do a 100% neutral capsule wardrobe. 4. Grey Tank: This little guy is an oldie. He was in my summer 2014 + fall 2014 capsules. 5. Lace Up Sandals (similar): These are making an appearance from my summer 2014 capsule and I can’t wait to wear them again. What do you think? Which pieces are your favorites? P.S. 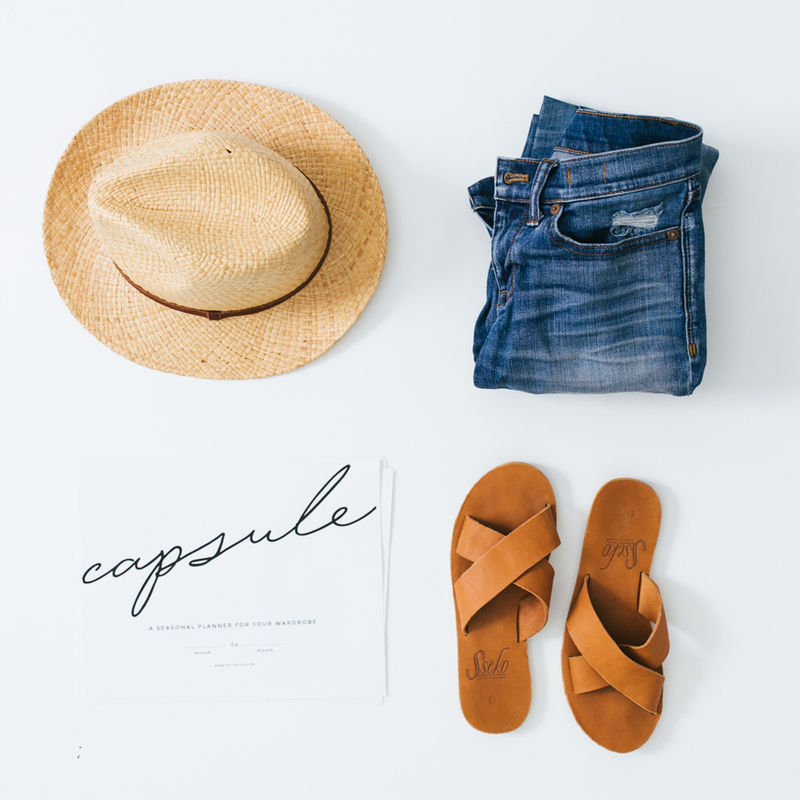 Mark your calendars for this Sunday, March 8th at 11am – 1pm — I’ll be at the Austin Madewell store (at the Domain) offering up capsule wardrobe advice + spring outfit ideas. Bonus: free mimosas + almond croissants + 20% off the whole store. Leave a comment if you’ll be there. Can’t wait to meet you! I’m in Australia so just coming into autumn/fall now. I have a number of these pieces in my summer wardrobe actually. Our spring is not warm enough for shorts! I have the crop tee from Madewell and ADORE it! It’s so wonderful with high-rise shorts! I seriously want it in every color, haha. I’m also glad to see some color again. I love the neutral thing myself but only for so long. Mint’s a food colour though- not too bright but a nice hint!!! 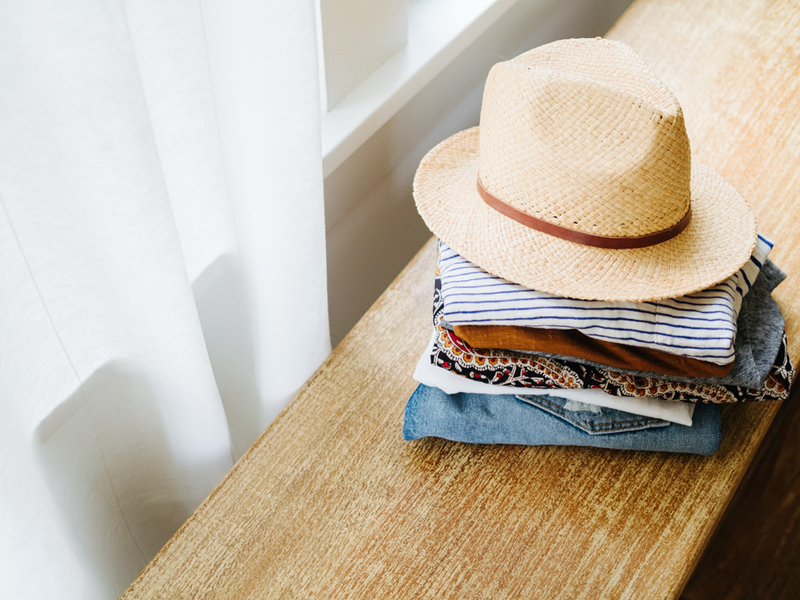 I’m looking to implement my first capsule wardrobe for this spring season- thanks a lot for sharing this preview- it really helps with giving me ideas for layering! Loving it!!!!! So excited to see what else you’ve picked for this capsule. I’ve been skeptical of the boxy crop tops as well, so I’ll be interested to see how you work it into your capsule. And I can’t wait for all of the blues!!!!! Spring is in the air! Question about one of the links: The merino/cotton sweater above from J.Crew says Dry Clean Only. Do you have any tips for handwashing or otherwise getting around that? Sometimes I’m hesitant to get nice things because of the time & money it requires to care for them. You can definitely hand wash that kind of thing! That’s actually much better for the garment than dry cleaning, but manufacturers have to put the dry cleaning label on shrinkable pieces because otherwise people put them in the dryer on high heat, end up with miniature clothing, then blame the brand… sigh. You can use gentle detergent (Woolite, Ivory Soap), spot-treat your garment if needed, then immerse in a sink of cool water and swish around. I usually leave it to soak for awhile then drain the sink and rinse the garment under cool water until it’s not soapy. Squeeze gently to get out excess water then hang to dry, or lay flat on a towel if it’s something that will stretch like a knit sweater. Or hang outside if it’s something that won’t fade – things dried in the sun smell amazing! I’m so excited for spring too! It’s a ways away yet here in the Midwest… which gives me plenty of time to gather my next capsule! Love seeing your pieces. I’m considering crop tops too, with high waist maxi skirts… I turn 29 this year as well and sometimes struggle with what is “age appropriate”. Clothes from my 20s still fit, so while I am happy to whittle out things that aren’t my style anymore it’s hard to get rid of items that fit and I still like just because I’m 28. Would love to hear if you have any insight on “age appropriate” items! Oh, great idea! I am not a cut offs type of person, I love a swingy chambray skirt as alternative. Now if I can find a high waisted one, golden! I have most of these items that I’m including for my spring/summer capsule except the sandals and the cropped tee is actually regular length, but loving it!! FL is now hitting the 80s so I can’t wait to transition to my S/S capsule! I also found out there’s a Madewell at this popular mall close to my job so I might visit it soon since I’m lacking a couple of essential items. I do have a question: is the hash tag supposed to be a link? Just wondering…. Love your lace up sandals…they remind me of these really great convertible sandals from Sseko Designs. Have you heard of them? Wonderful company with an ethical mission. I’m getting ready to purchase a pair because they are so versatile! I am with you…there must be some color present to keep life exciting…well our wardrobes at least :) It's great to know a seasoned/expert capsule creator such as yourself still learns something each capsule! It is encouraging to us newbies. Getting EXCITED about the spring reveal! And so wishing a lived near Austin, TX to hang and chat clothes in March! I adore the cropped t-shirt! Yes! I’ve got spring fever too. Even though it’s snowing here, I just created a blog post with all my spring inspiration. Just seeing all these cheerful images cheers me up. So excited to see what you come up with! I think the fact that you’re updating your jean shorts is a nice reminder that our wardrobes can still evolve with us, even in small incremental ways. It’s not totally rigid forever and ever and I think that makes the whole capsule thing less intimidating. 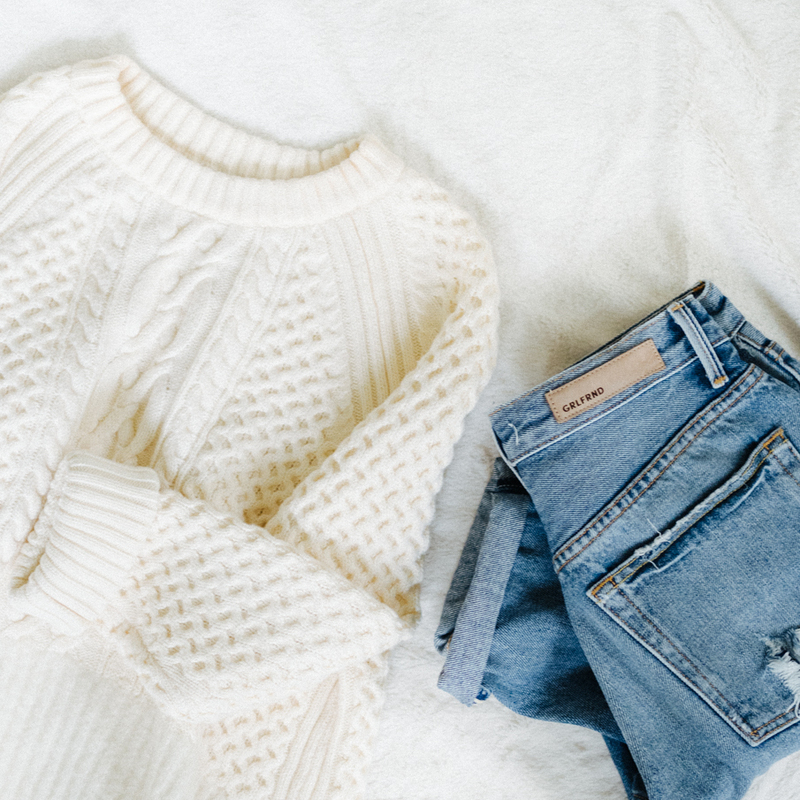 Loving the casual cool vibe of these items! I can’t wait to see your whole collection. I already started my spring capsule and have been loving lighter colors, but Texas weather has prevented me from wearing all the fun skirts and flats I had planned! I’d love some tips on how to plan for wild weather. Wahoo! I worked at Madewell foreeeveerrrr and am excited to see y’all are doing an event together :) I’ll try my best to stop by, gotta love that 20% discount and yummy snacks! Also – I’m loving your capsule so far! I’ve been craving color like crazy as well and trying to implement more into my wardrobe for spring. These are adorable choices! I like that they are still neutral in color. I tend to go color crazy during the summer and start pairing together the rainbow! SOOOOOO EXCITED FOR THIS!!!!! It all looks great, the grey tee is an ESSENTIAL in my wardrobe too, such a lovely colour! And am so jealous about the meet up!! COME TO ENGLAND!! That tank and that tee are calling out to me. I need them in my life! I looooove that cropped tee for you! Myself, I’m not brave enough yet. I’m really hoping to make it!! A) because I’d love to meet you and B) I’m really eyeballing that crop top! I have to admit that I found the winter capsule too neutral, so I’m thrilled you are adding color back. I like that tunic a lot. I find that I forget the range of temps within each season, and Spring definitely has cold moments. I love this! Your style inspires me so much, Caroline! Honestly the box cropped tees are always better! And besides, Im 24 and im not fond of the teeny bopper crop tops anyway! lol! I always thought I don’t have the stomach for the cropped tee (literally!) but with high-waisted jeans I think I might try it! Hi Caroline, I always enjoy reading your blog, it has been a great inspiration for me to streamline my wardrobe! I wanted to say, those sandals are fabulous! I’ve always wanted a pair, and I may just have to incorporate them into my wardrobe this season! I also heard that yellow, all white outfits, and no make-up are going to be very “in” this spring! :) Can’t wait!